Note: I received no compensation for this review, either in products or payment. 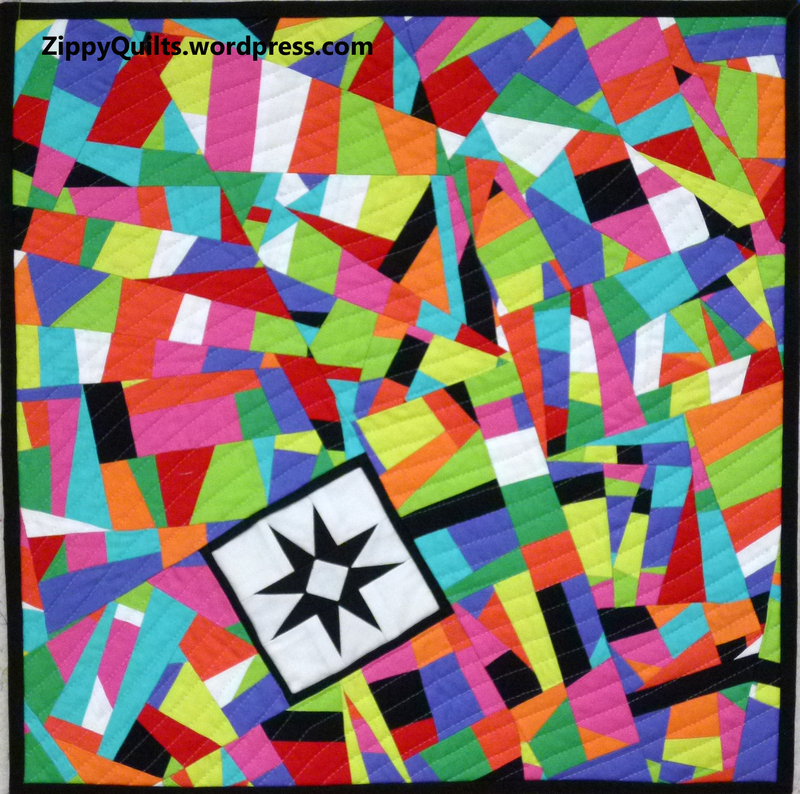 I have used Superior So Fine thread for piecing and a lot of my quilting for a long time now. It comes in a wide range of colors and runs smoothly, without leaving excess lint in my machine. 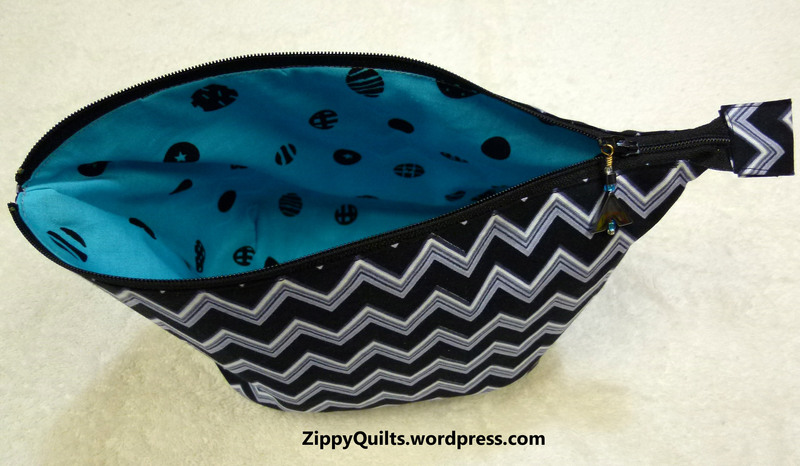 I use it for hand sewing as well, on the rare occasions when I do that. I buy a lot of thread, so I subscribe to the Superior Threads newsletter in order to get bargains when they come along. 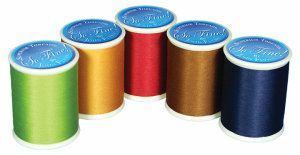 They recently ran a special to encourage folks to try out new threads: You could get spools of several threads for half price if you let them choose the colors. I’m all about trying new things, so I bought several. I sewed a little sample of each and stapled it in my Superior Threads catalog so I can refer to it when I order in future. 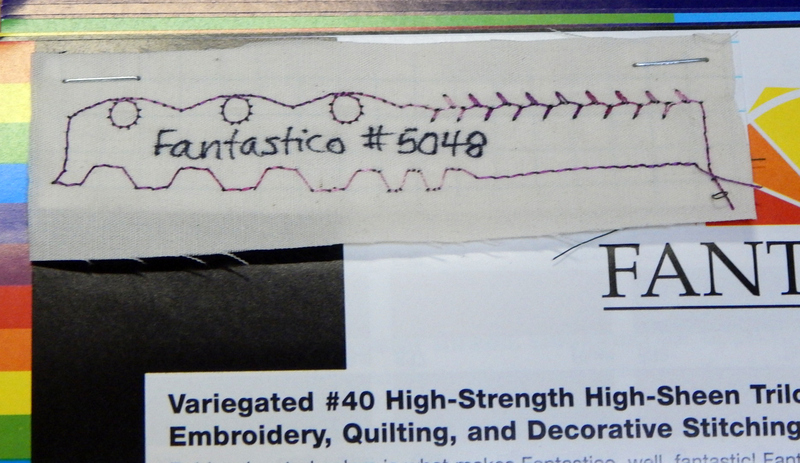 The first thread I tried was Fantastico, a 40-weight trilobal polyester. 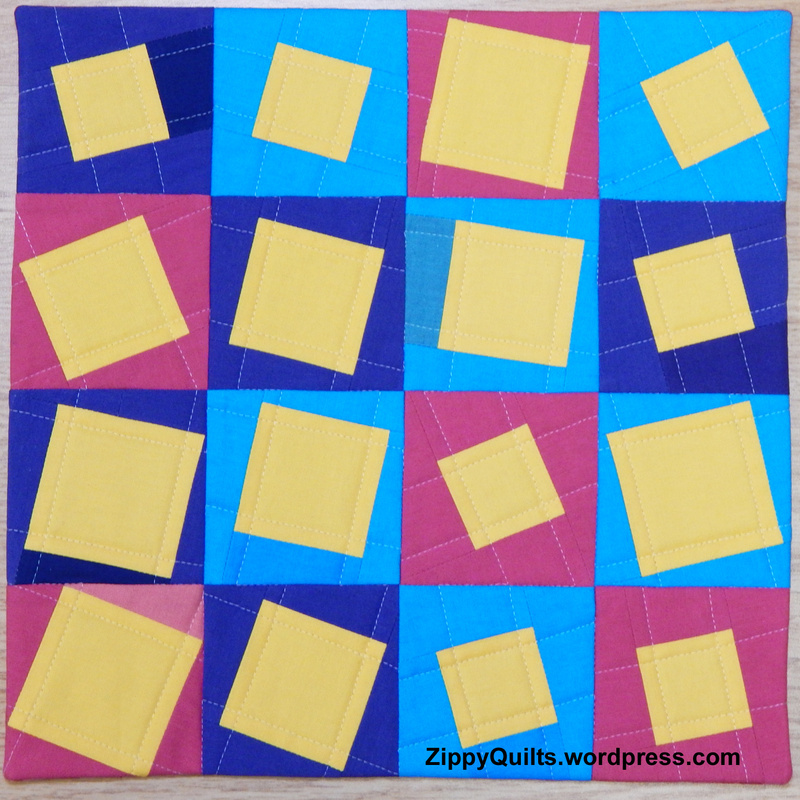 Fantastico thread sample–I didn’t balance the tension, as you can see. I just wanted to see the thread. I still didn’t balance the tension, but you can see the sheen more with the variegated thread. I like this one, too! I think bigger stitches would be better, but I like this! Razzle Dazzle indeed! 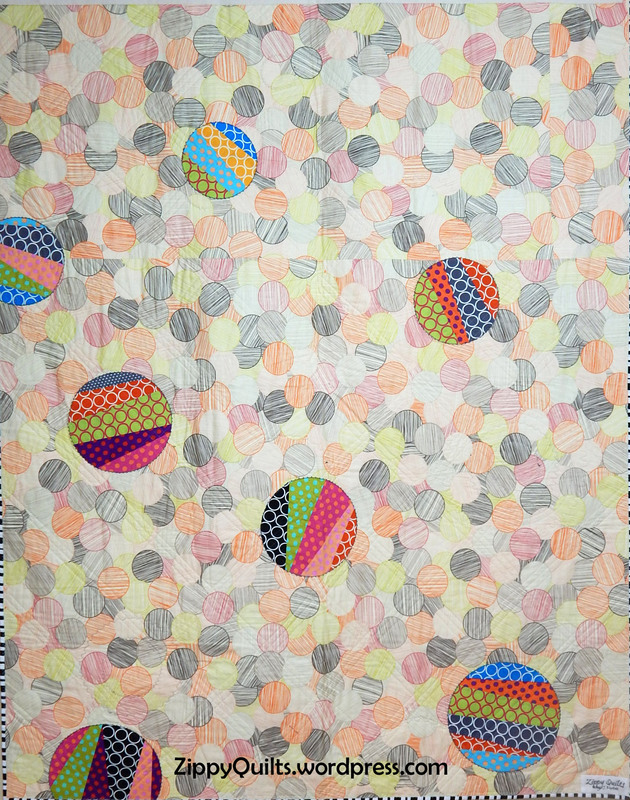 I’ve never used bobbin work for quilting, but I think I can feel it coming soon. Superior Magnifico is another decorative trilobal polyester thread, again 40 weight. 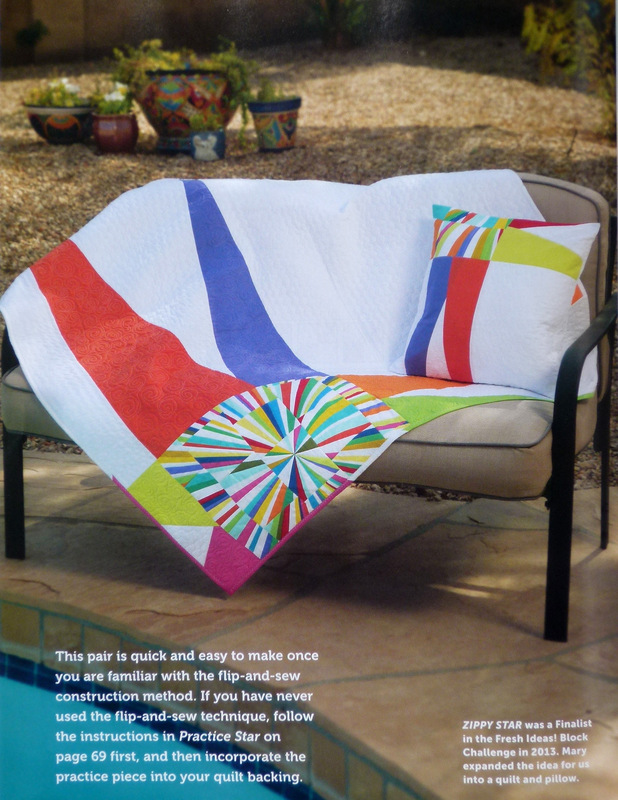 I don’t know how many colors it comes in, but there are EIGHT pages of color charts in my catalog! Finally, my FAVORITE, a metallic thread. I’ve tried several metallic thread and usually had trouble with them, even in my Bernina. All these threads ran smoothly with no problems. The recommended needle (#90) was printed on the end of each spool, which was very handy. 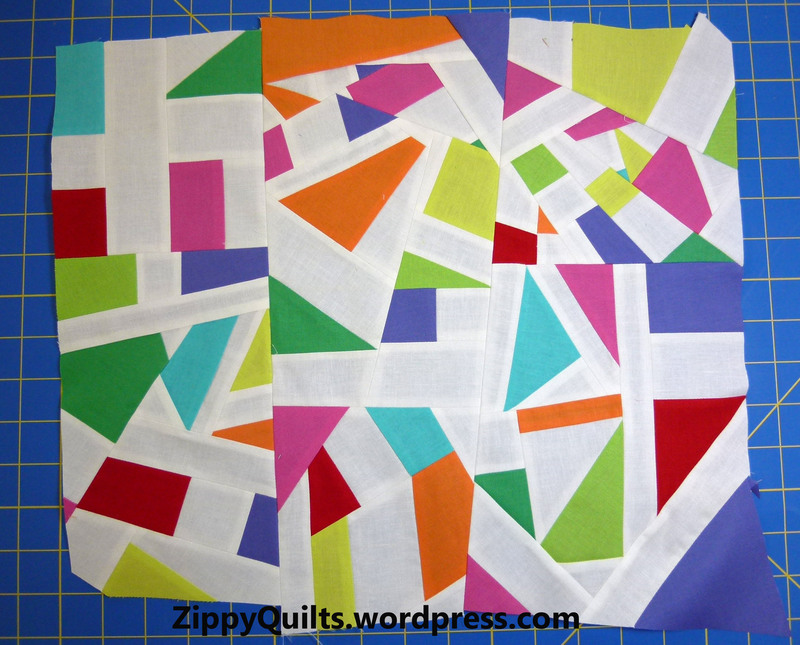 I’m happy to have tried these and expect I’ll use them soon in my home-machine quilting. 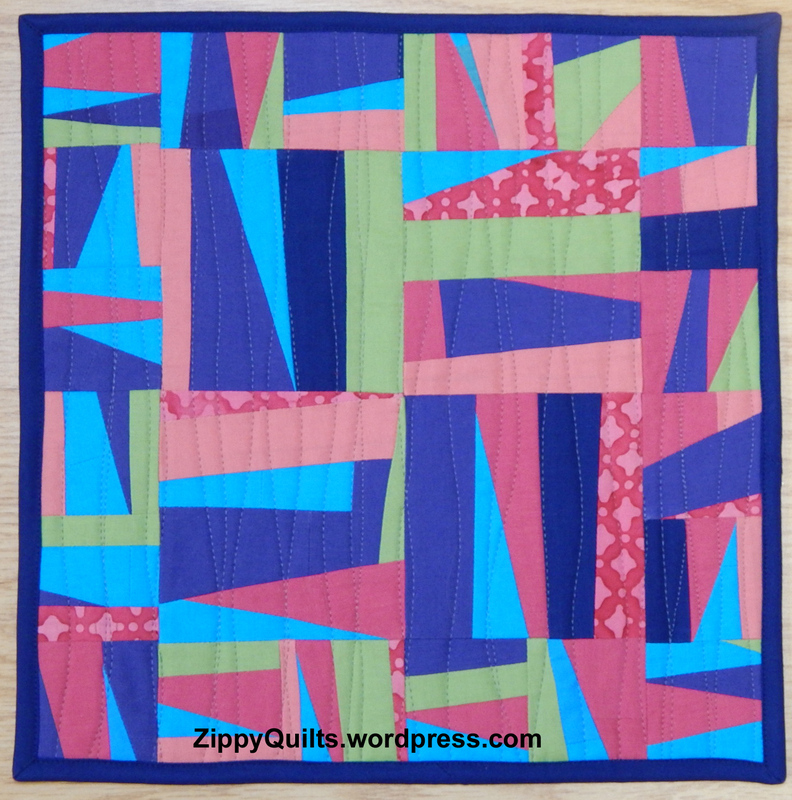 Here are the other two quilts I made while doing the Gwen Marston class on iQuilt. 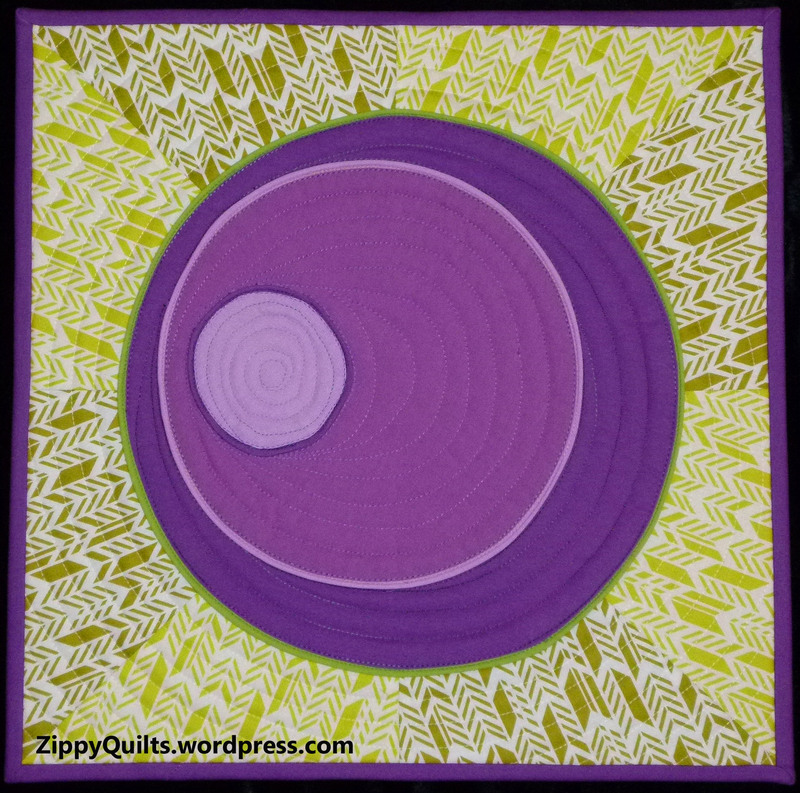 This first one is my version of one of her quilts, and again I made it 12″ x 12″. I faced it, which I don’t usually do, so that was a learning experience. I like the way it turned out. 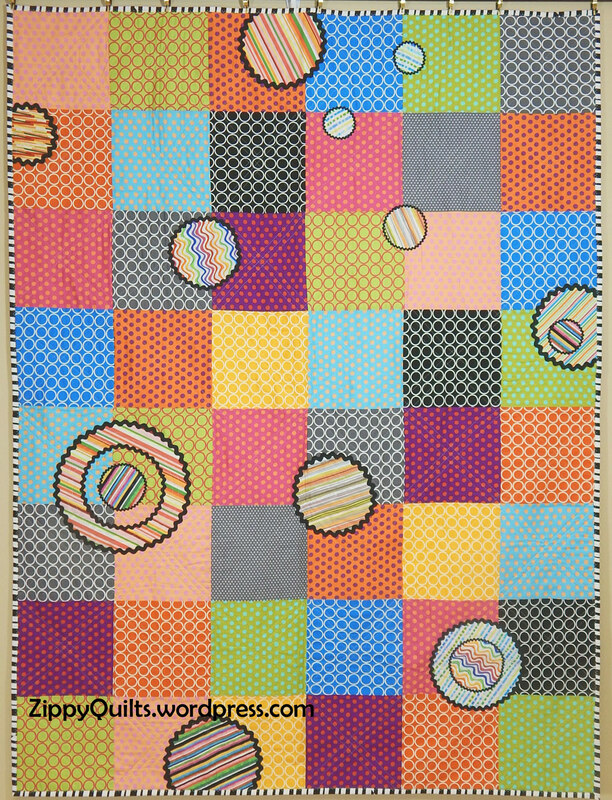 This second one was made of scraps from the other quilts in the series, which makes me happy. 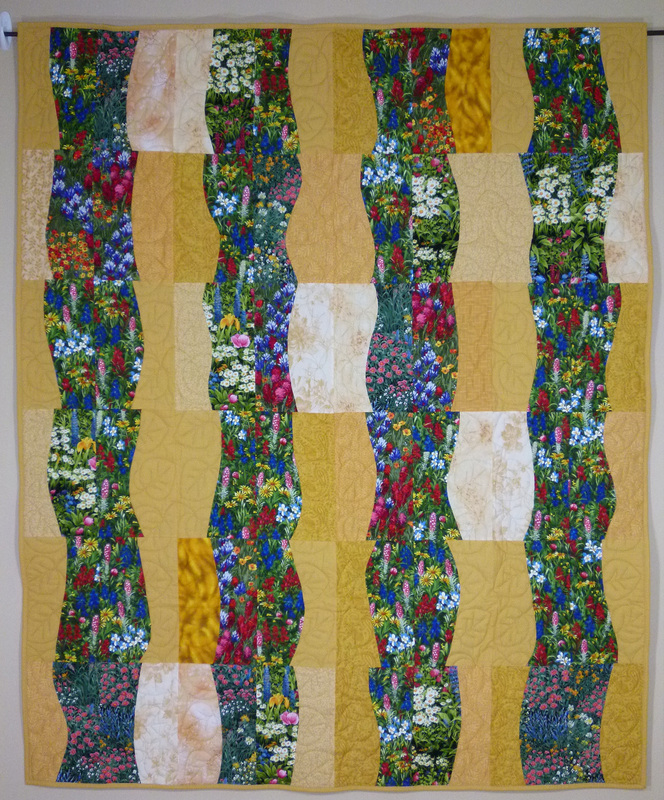 This started as a liberated Roman Stripe design, with a center of 4 larger blocks and a “border” of smaller blocks. The size of the blocks worked out fine, but the pieces got more and more “liberated” so that I’m not sure it looks much like a Roman Stripe any more. Which is fine, actually. 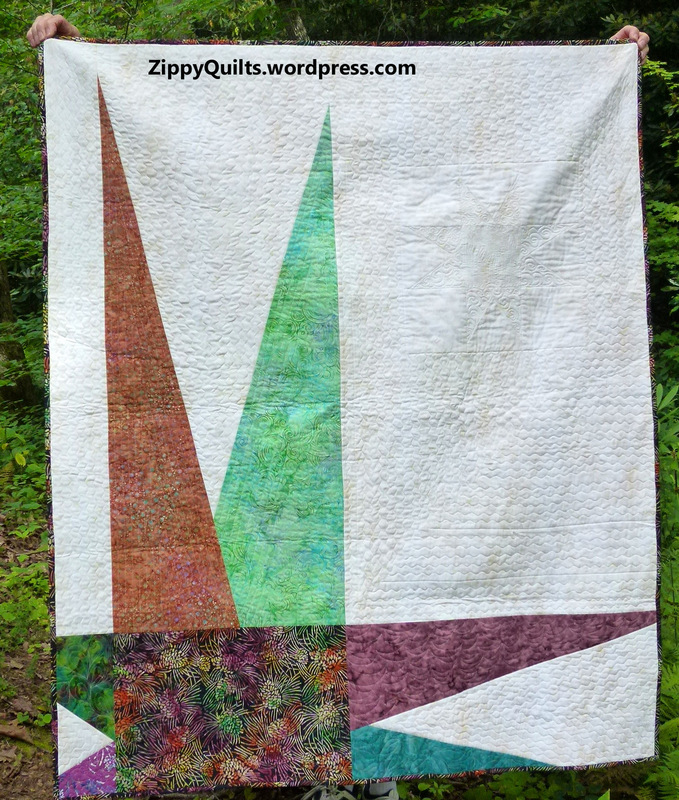 I quilted it using a pattern of wandering lines, all in one direction, and I like the result. After considering several threads, I used a thin medium grey polyester. 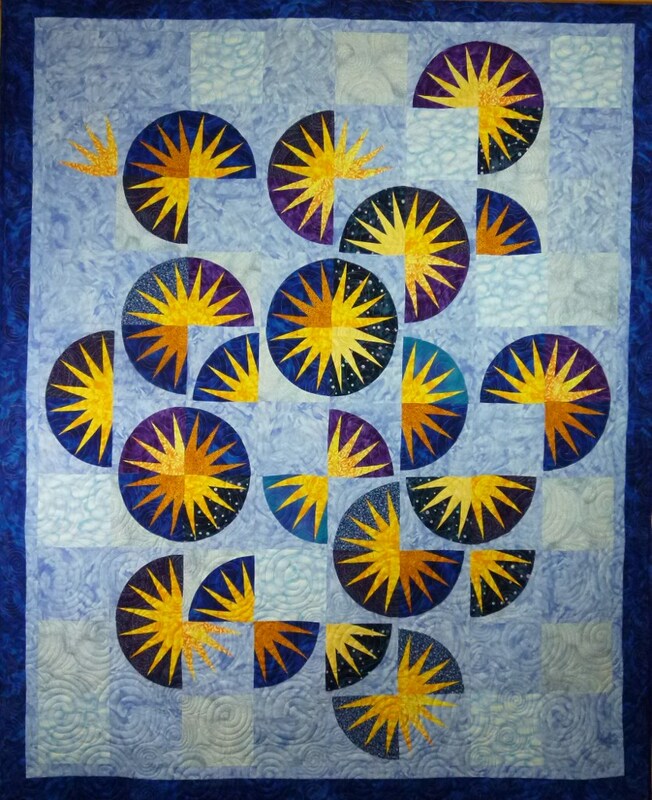 I think it blended well so that the quilting didn’t obscure the design. Here’s my “trial” of several threads. 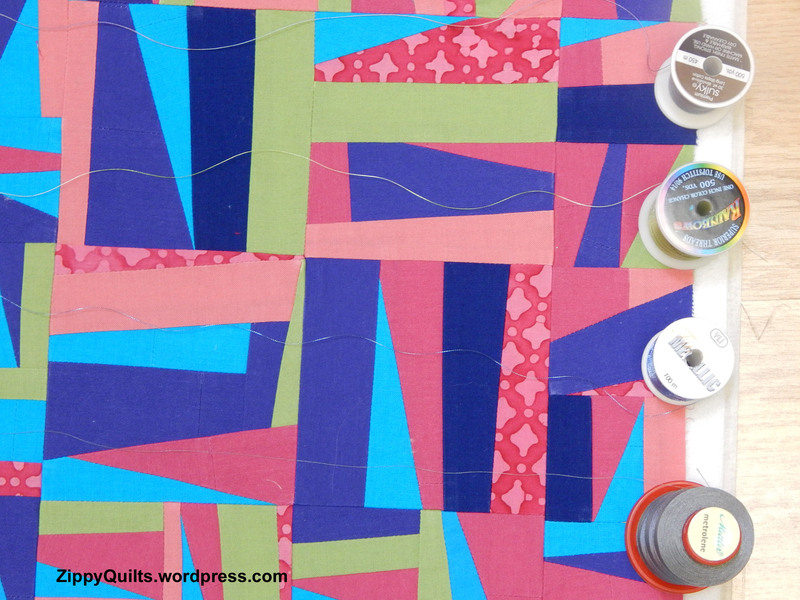 How do you choose your quilting thread for a project?